I am very fussy when it comes to mascaras - I want voluminous, dramatic, very black lashes that don't smudge and aren't crispy. I don't mind a bit of clumping, but not too much and I don't like spider lashes. Bonus points are given to a mascara that adds some length and holds a curl and it also needs to be easy to remove. 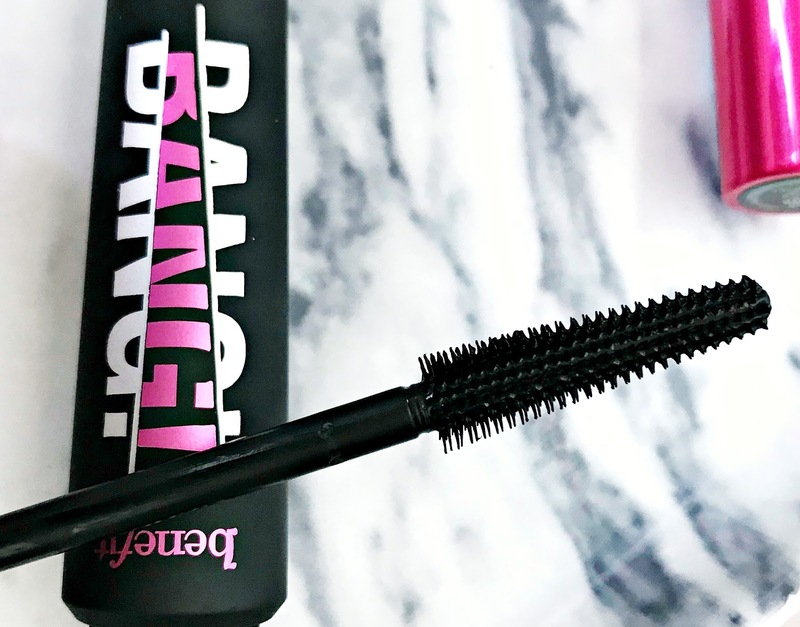 The original Badgal Lash Mascara was described as volumising but I personally didn't find it to be and I didn't like the brush. 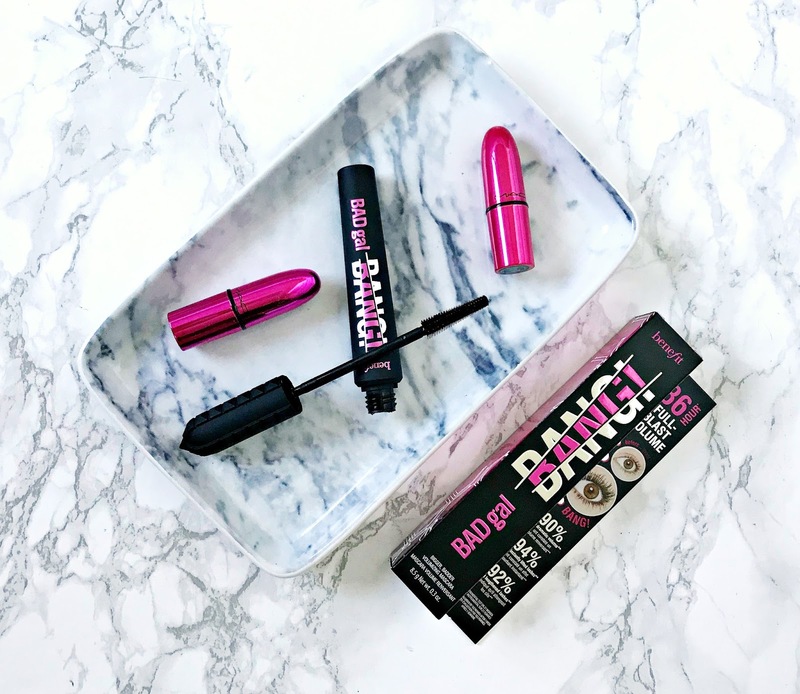 BADgal Bang, on the other hand, has a brilliant brush - it's tapered so it's easy to get in at all of the little inner lashes without poking my eye out and it's also easy to get right into the roots! That being said, it takes a little getting used to because it's quite flexible but it isn't going to bend so much that you miss your lashes and smudge your under eye area. The formula of the mascara is pretty wet, so my advice it to use a lash guard or a piece of tissue to protect your lid/eye makeup or maybe leave it open for a little while to allow it to dry a little. I personally don't mind a wet formula and find it easier to layer, which builds volume. One coat of this mascara adds some length and definition but, for me, it take 3 coats to get the volume I like. It layers easily, without clumping - I hate those mascaras that leave you looking like you have 4 fat lashes in total! What I really like about this mascara is that although it is described as having Aero-Particles, which are lightweight materials, to build volume and I thought these might irritate my sensitive eyes in the way that fibres sometimes do, they really don't and aren't actually discernible at all. 3 coats of this mascara gives me lengthened and volumised lashes that aren't heavy, crispy or smudgy. At £21.50, this isn't quite as high end as YSL or Armani in terms of price tag but it's still not a drugstore price. That being said, if you don't mind spending a little extra on your mascara and want long-lasting voluminous lashes, this will be right up your street! Available from Debenhams in the UK and Ireland. Have you, or are you going to, try this mascara? What do you think of the blogger trips to exotic locations to promote products? I would love to hear your thoughts! All products are bought by me, unless otherwise stated. This mascara was kindly sent to me. Opinion is always my own.